Want to see all the technologies used by cafecoffeeday.com? Cafe Coffee Day is India's favourite coffee shop for the young and the young at heart. We're part of India's largest coffee conglomerate, Amalgamated Bean Coffee Trading Company Limited (ABCTCL). In Asia, ABCTCL is the second largest in terms of coffee estate ownership which means it has a rich and abundant source of coffee. There are also 11,000 small growers whom we source from and who make us who we are and we're glad to be a part of their lives. Popularly known as CCD, we strive to provide the best experience to our guests. To put it plainly, we brought in the concept of cafes to India (this is where you thank us!). The first one opened in 1996 on Brigade Road in Bangalore and continues to be one of the most happening places in the city. The young and the young at heart immediately took to the place. A smart, simple space that they could call their own for a while… sit down, talk and listen to conversations, hold short meetings or even have a lot of good fun…all over steaming cups of coffee. CCD today is totally in tune with its target audience. It’s a strong relationship the brand shares. It's been an exciting journey since then, becoming the largest organized retail cafe chain in the country. What's more if your travels take you to Vienna, Austria or the Czech Republic, do stop by our CCDs there for the taste of a blend from home. 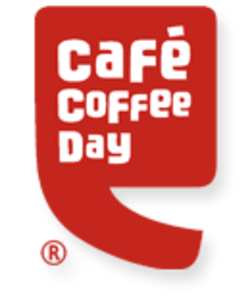 For a quick look at additional technographic info on cafecoffeeday.com or any domain on the web, download our Chrome Extension. Check out our help article to see how Datanyze Insider can help you.